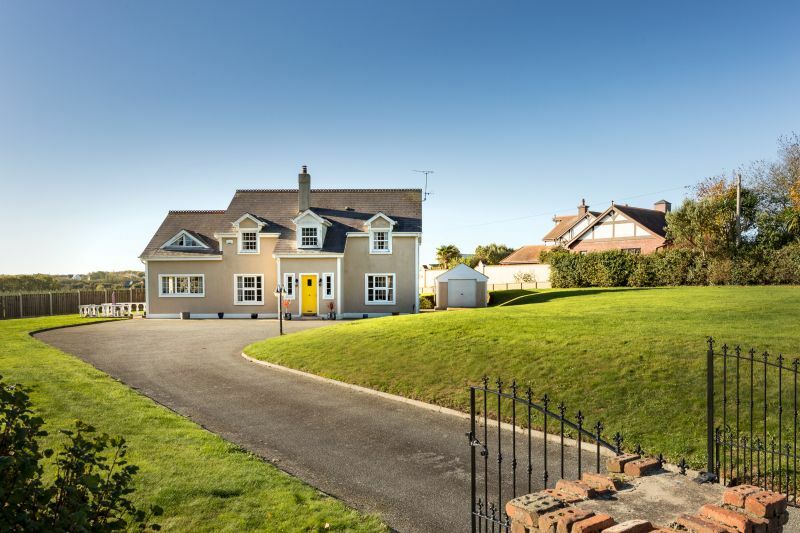 Ballycowan Lodge is located less than 5 minutes’ drive from Rosslare Euro Port and less than 10 minutes’ drive from Rosslare Strand Ireland’s premier holiday resort. 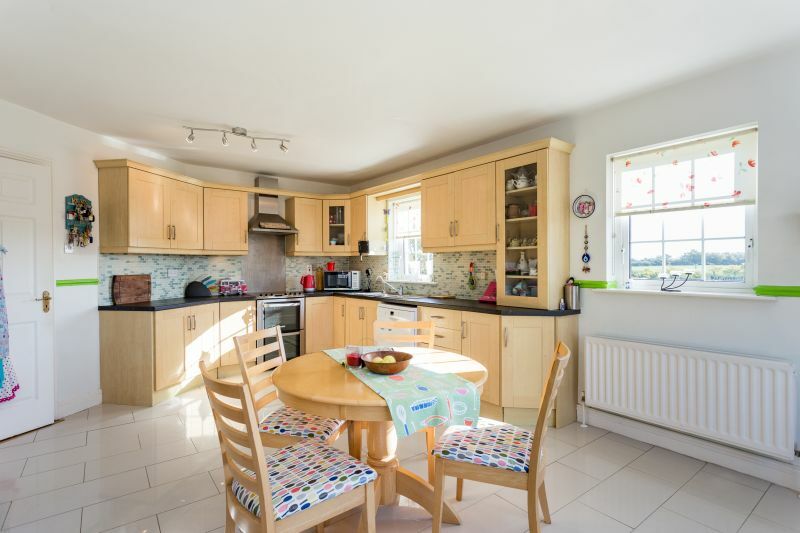 Conveniently situated on the R736 beside the village of Tagoat just off the N25 with Wexford Town and access to all national routes less than 15 minutes away. 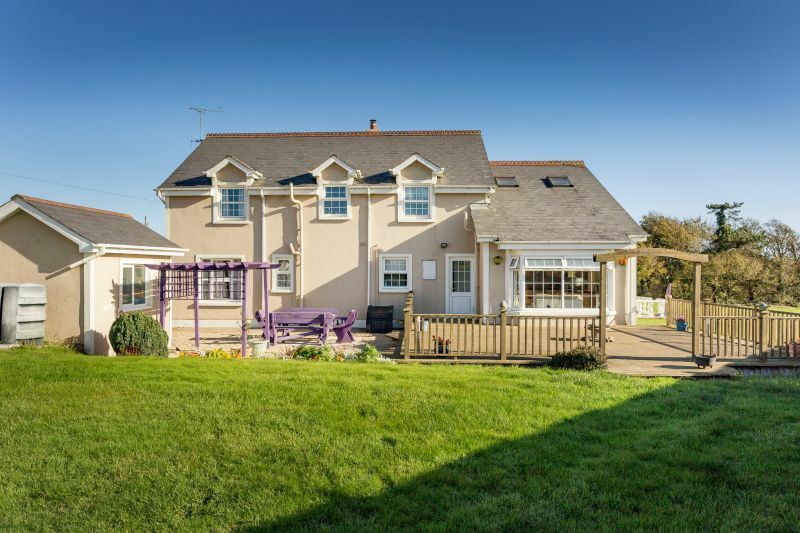 This spacious detached home has 4 generous ensuite bedrooms and offers immense potential for B&B. 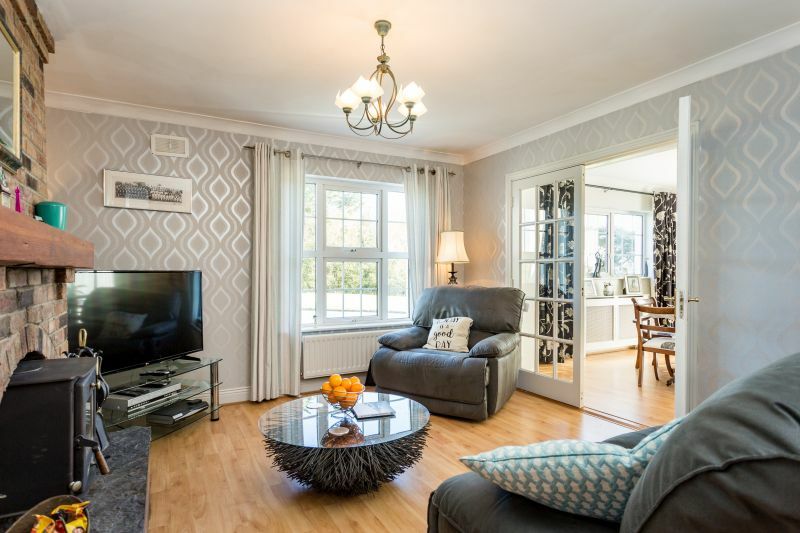 The property has been meticulously maintained over the years, tastefully decorated and is presented to the market in pristine condition. 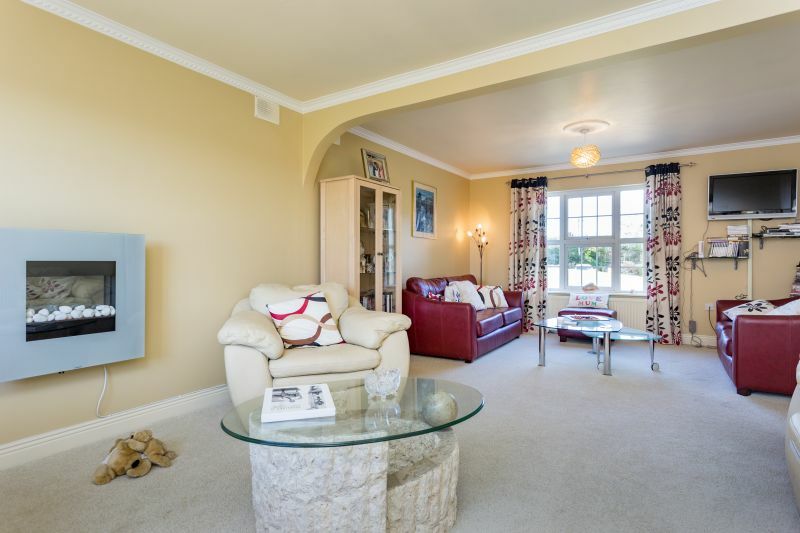 This home is bright and airy with well laid out with generous reception rooms and nicely proportioned accommodation. 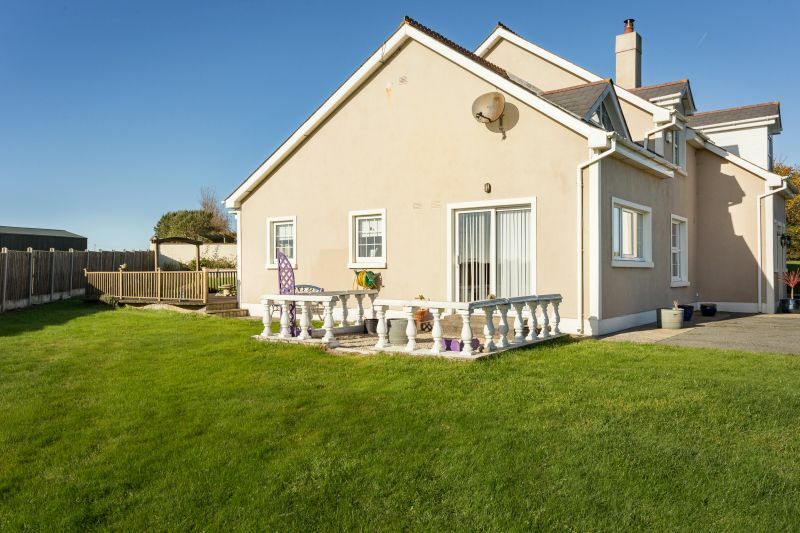 Within easy reach of Rosslare Strand and the host of excellent amenities on offer there including shops, hotels, restaurants, pubs, golf club, leisure/sporting facilities and of course the renowned Blue Flag beach. 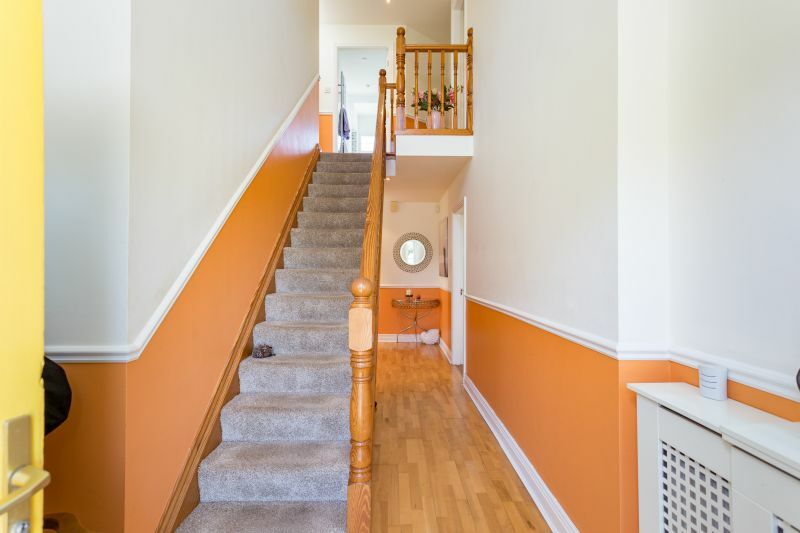 Externally there is a detached garage, boiler house/garden shed, tarmacadam drive/forecourt with parking for several cars. 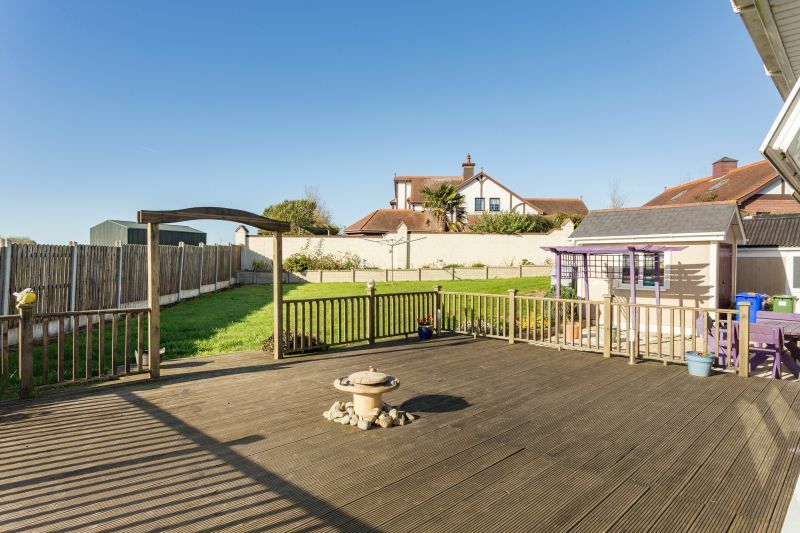 Lawns to the front with enclosed south facing garden, patio area, pergola and extensive decking to the rear. 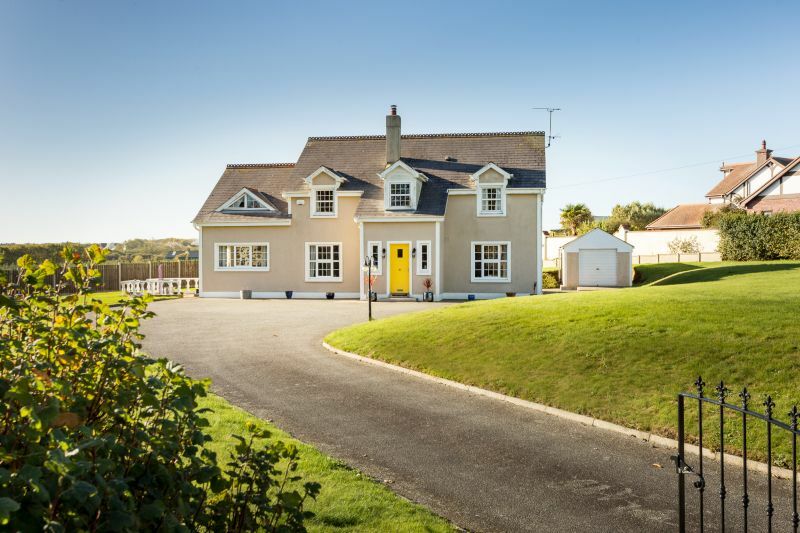 Ballycowan Lodge is a fine family home close to schools, bus routes and all amenities, given its proximity to Rosslare Euro Port it also offers huge potential for B&B. 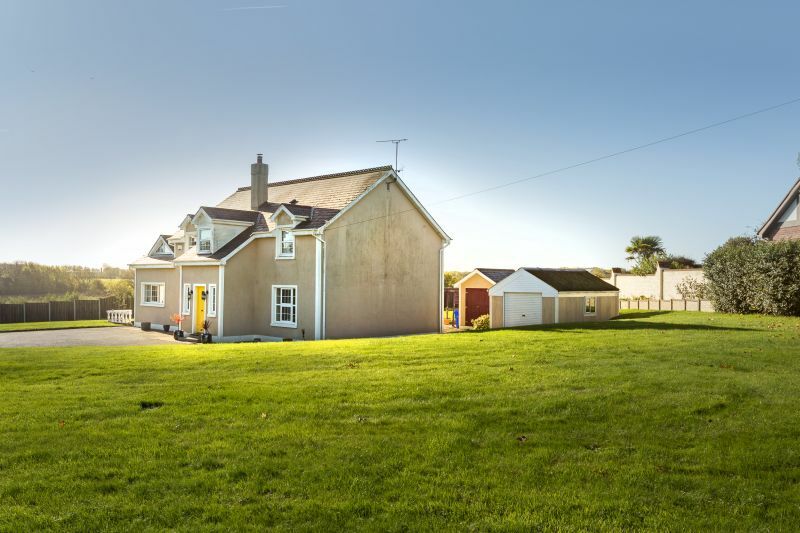 Viewing comes highly recommended, contact Wexford Auctioneers Kehoe & Assoc. on 053-9144393. 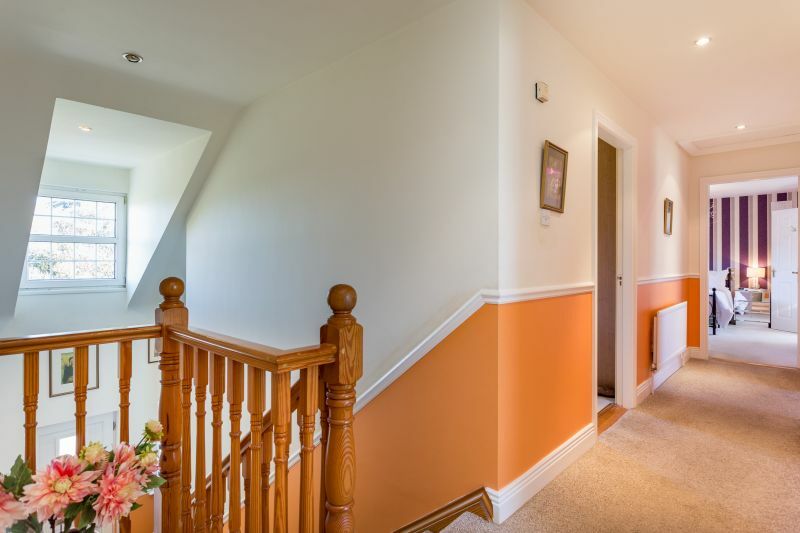 Entrance Hallway 6.92m x 1.79m With timber floor and staircase to first floor. 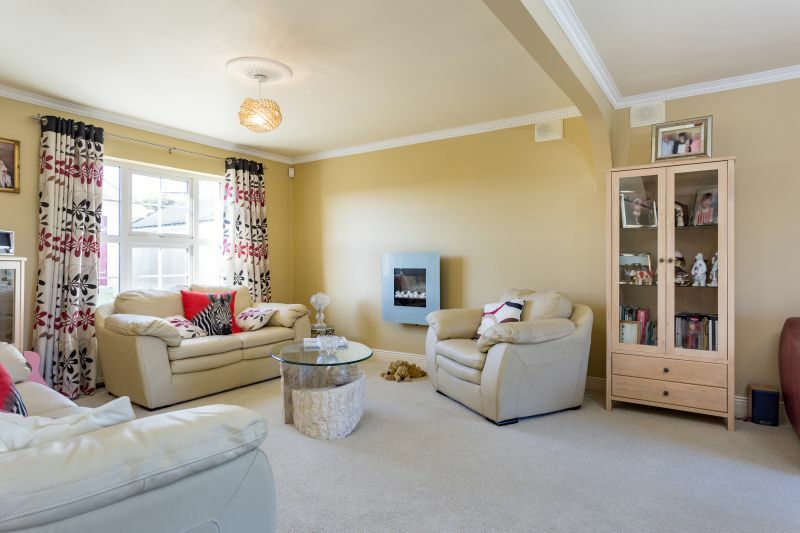 Living Room 7.50m x 4.21m With electric fire, coving and centre piece. 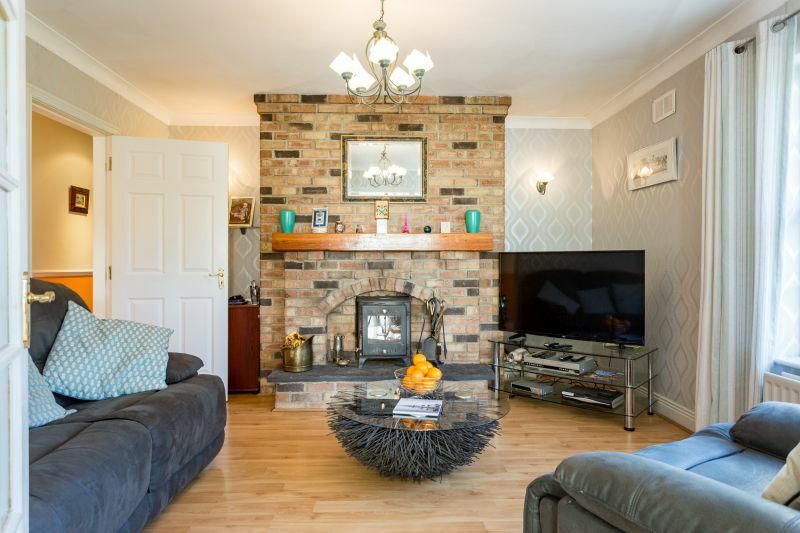 Family Room 4.03m x 4.20m With solid fuel stove, coving, feature brick chimney breast, laminate floor and double doors to dining room. 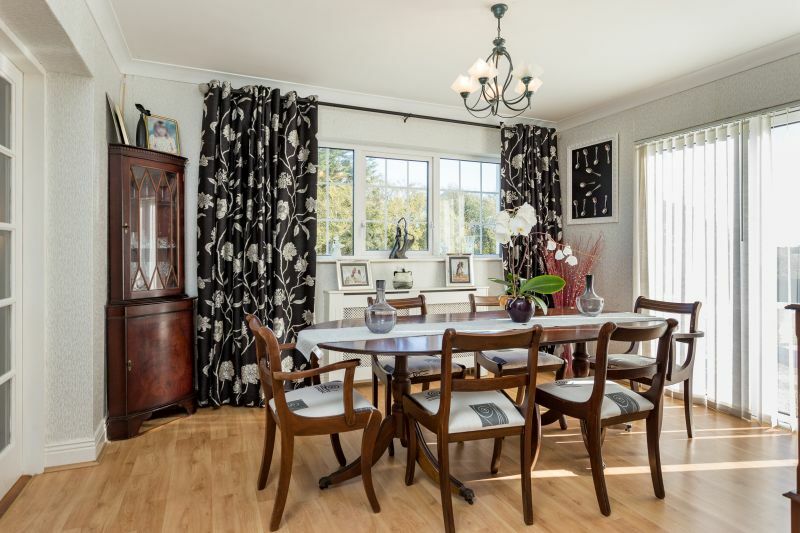 Dining Room 3.93m x 3.34m With laminate floor, coving and sliding patio door to garden. 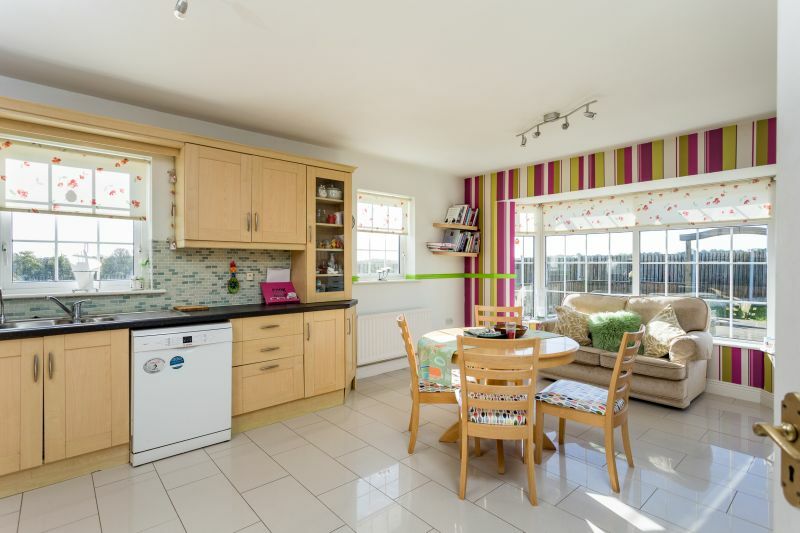 Kitchen 6.36m x 3.93m With excellent range of built-in floor and eye level units, electric cooker, extractor, dishwasher, feature bay window, part-tiled walls and tiled floor. Utility Room 4.09m x 2.21m With built-in storage presses, sink unit, washing machine, tumble dryer, fridge freezer, tiled floor and door to outside. 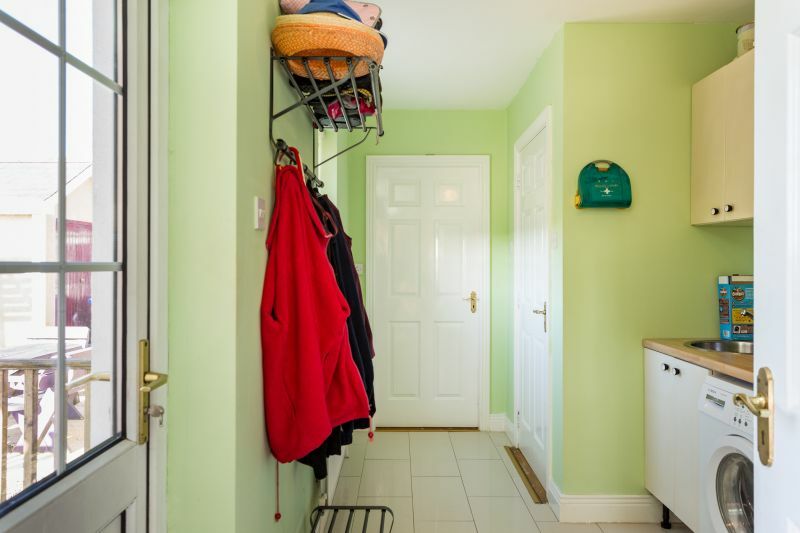 Walk-in Hotpress Fully shelved with dual immersion. 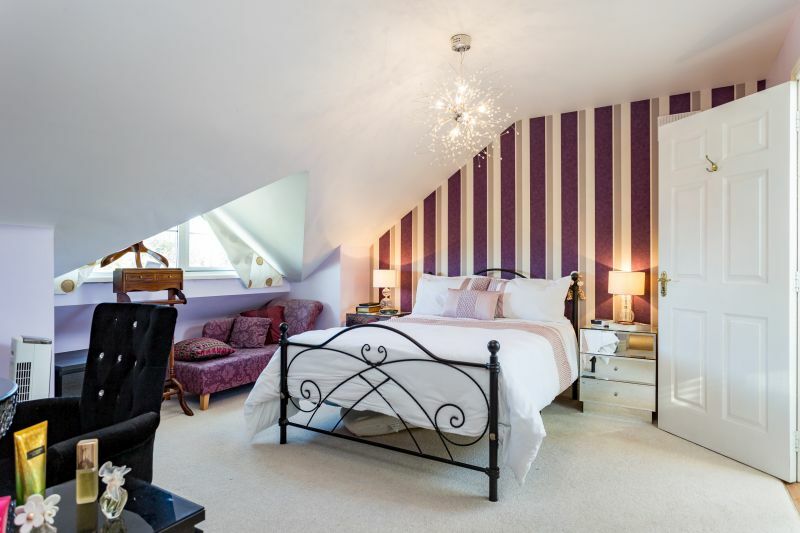 Bedroom 1 3.93m x 3.37m With shower room ensuite. 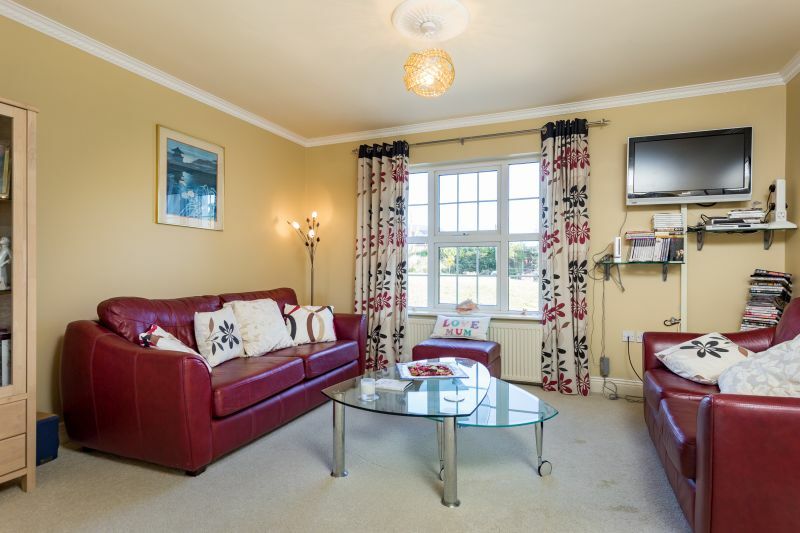 Ensuite 1.89m x 1.74m Fully tiled, w.c, w.h.b, heated towel rail and shower stall with power shower. Bedroom 2 4.22m x 3.04m With shower room ensuite. 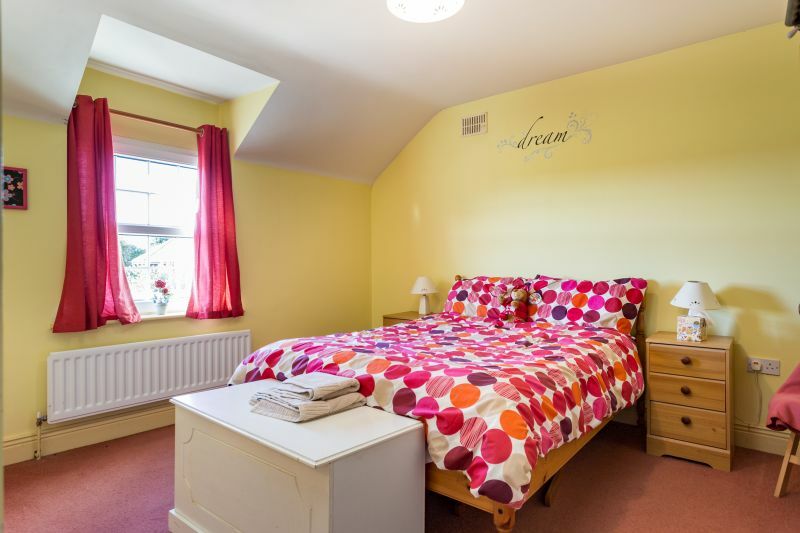 Ensuite 1.91m x 1.75m Fully tiled, w.c, w.h.b, heated towel rail and shower stall with power shower. 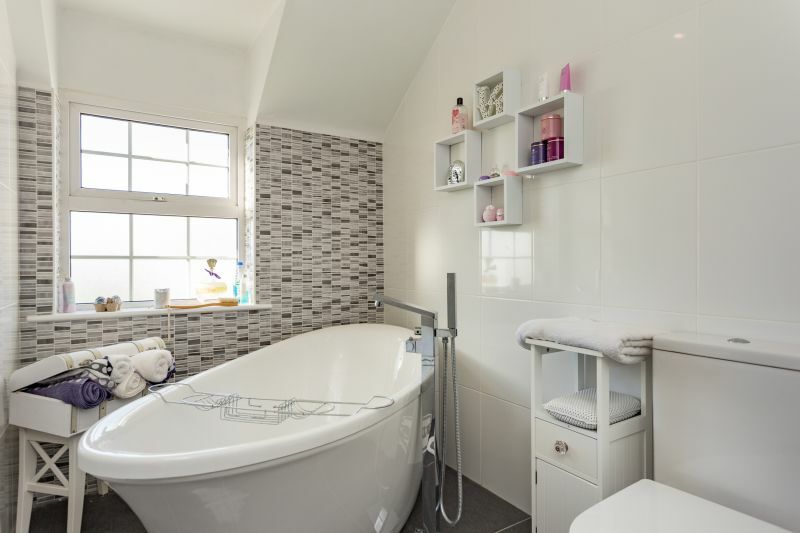 Bathroom 3.02m x 1.80m Fully tiled, free standing bath with mixer taps, w.c, w.h.b and heated towel rail. 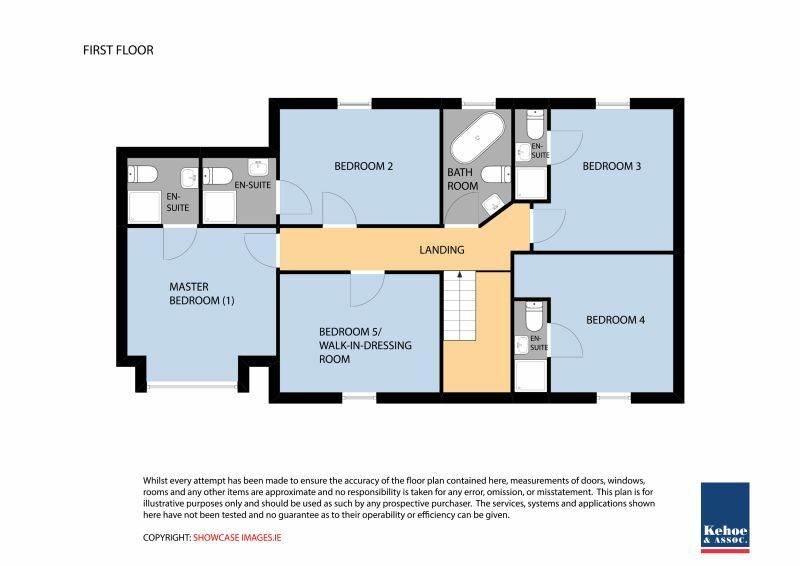 Bedroom 3 3.76m x 3.24m With shower room ensuite. Ensuite 2.38m x 0.85m Fully tiled, w.c, w.h.b and shower stall with power shower. 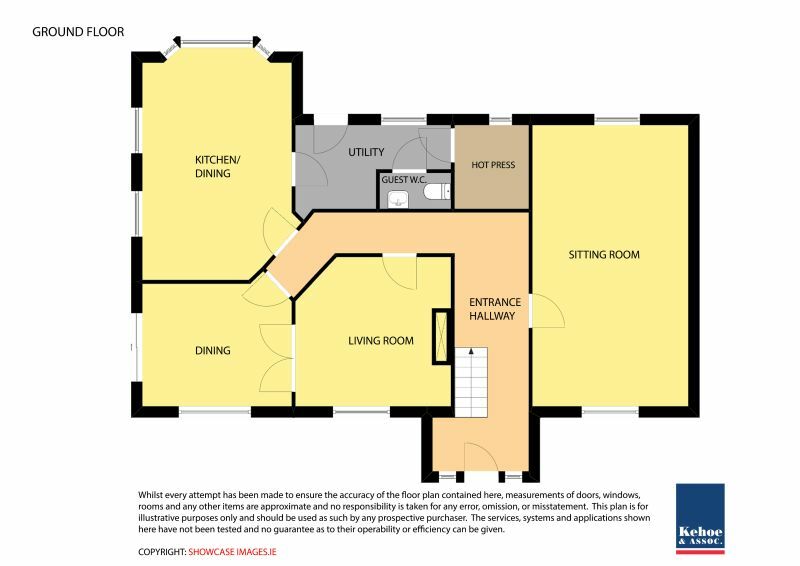 Bedroom 4 3.63m x 3.24m With ensuite. Ensuite 2.43m x 0.86m Fully tiled, w.c, w.h.b and shower stall with power shower. 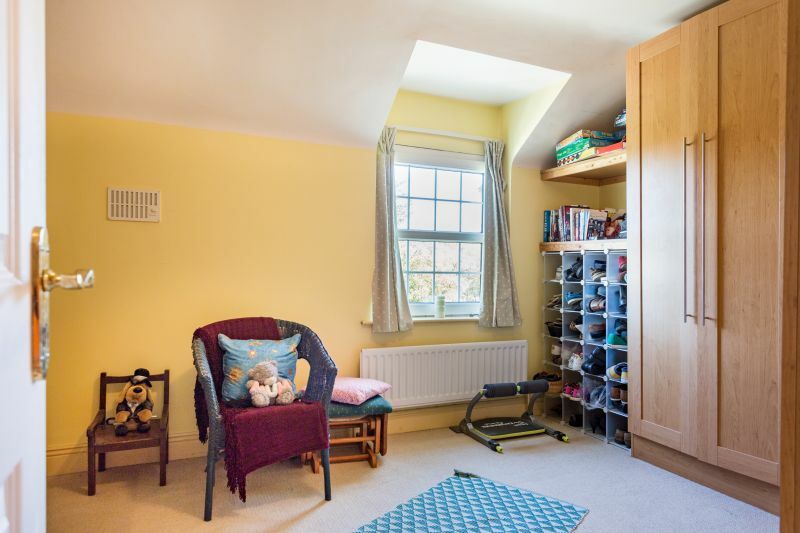 Dressing Room 4.23m x 3.13m With excellent range of built-in wardrobes and wash hand basin. NOTE: The sale is inclusive of all carpets, curtains, blinds, electric cooker, extractor, dishwasher, washing machine, tumble dryer, fridge freezer and most light fittings. 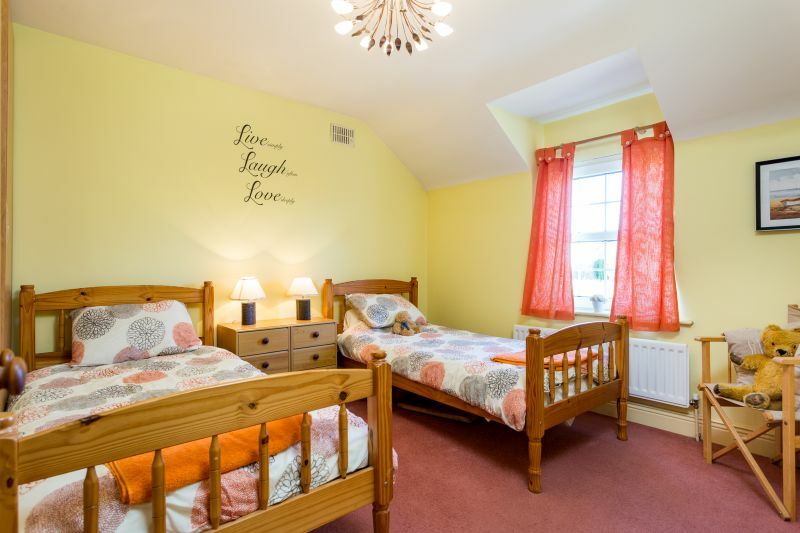 The light fitting in bedroom 1 is expressly excluded from the sale. From Wexford Town proceed out the N25 towards Rosslare Harbour. At the entrance to Tagoat Village turn right onto the R736 proceed up this road and the property is the second house on the left hand side. Ballycowan Lodge name plaque at the entrance. Eircode Y35NN56.